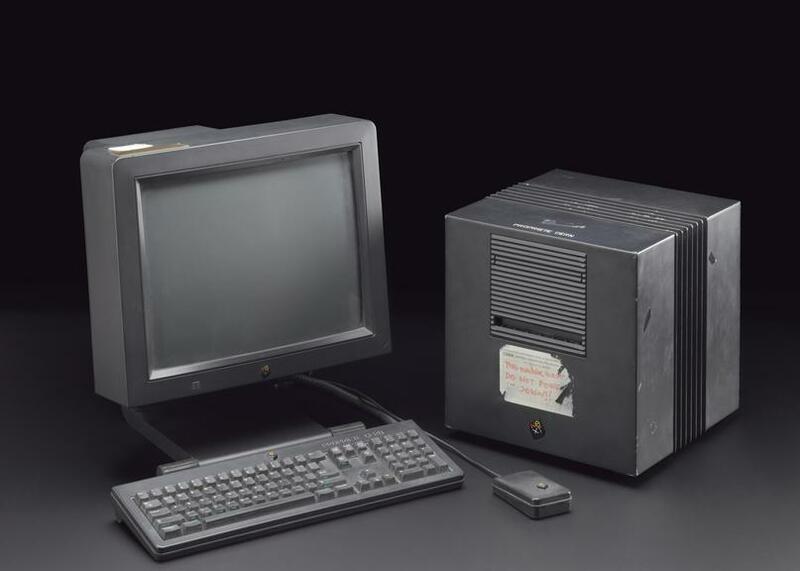 We are celebrating today the 30th anniversary of the Web. I’m taking this moment in time to reflect on my personal history of and with the Web; but summarizing more than 25 years in a few words is not an easy task, especially for someone like me. I didn’t want to skip any of the stories below because I have cherished them over the years and I still do. They are part of me. They contributed to make me who I am today. I hope they may give others some useful information about what the Web was, is, and may well be, from a humble insider. My beginnings at the University were not any good. I was not properly advised before taking a decision on what to do after school. I was young, had no clear ideas as to what I would like to work on in my adult life, and ended up joining most of my classmates and heading to Industrial Engineering, no less, with no clue about what it was about and what it would entail. The road was way too bumpy. After almost three years wasting my time on something that was clearly not my cup of tea, I decided to take a sort of U-turn. In the middle of my third year I decided to stop and express how I felt at home. I wanted to give up and move on. It was not well received (let’s leave it there). I decided to take proper advice and went to Madrid to visit one of my aunts, a professor whom had lots of connections in the education sector. I met several of her peers working in different knowledge areas but most of them science-related because that was the only thing I knew with some certainty. After a short while, I got really impressed with something I had only experienced before when I was younger and had a Sinclair ZX Spectrum at home: computing. The Spectrum was mainly for me at the time the equivalent of what we know today as a gaming console. Some of you may still remember the cassette tapes, and the waiting time hearing the annoying (fax machine-like) noise to load a game to play on the Spectrum connected to a TV set. Besides gaming, I hardly wrote a couple lines of code on it using BASIC on that thing. But back to my visit to Madrid. Computing was a pretty different game then that what I had experienced. I could see some IBM PCs for the first time in my life (I was lucky a couple years after when I could get one for myself) and see what some computer programs could do by the time; nothing fancy but certainly amazing to me. I was hooked. I decide to enroll in the Computer Science school the year after and so I did. Although I had used Bulletin Board systems (BBS) and Newsgroups a bit before, it was there when I first used e-mail, on a Unix-based computer using Pine. I had been previously fascinated by the first fax machine I could use (in my father’s office) and the possibility of transmitting a document over the wire to anywhere in the world. This time, the technology was at my fingertips. I could write a text, hit send, and someone would receive it instantly on the other side of the world. And that was just the beginning. I was lucky the University was one of the first in Spain to embrace the Web and setup their own Web server, and so I got to browse the Web for the first time using Lynx; yes, all text-based in black and white. The browsing experience only got richer with time. But there’s something I remember very clearly as one of the all-time best memories of my Web history. I have always been a music fan. As I recently read, it seems your music taste forms at a particular time in your life. In my case, it was in the early 1990s and the “new” american alternative rock called “grunge”; remember Nirvana and Smells Like Teen Spirit and all the other bands from Seattle and nearby places? My long time favorite band has been since Pearl Jam. It was 1994 when they released their Vitalogy album and 1995 when they toured in support of it. I had been already engaged in mailing lists of fans and contributing to a fanzine called Release. We all were eagerly awaiting the release of that new album and highly anticipating the new tour. More fan-led websites had already emerged. If memory serves, Five Horizons was one of the first. I will always remember the first time I loaded a page with the review of a show and could see a photo (very slowly, line by line) loading on the screen in full color with Mike McCready jumping during a guitar solo (I wish I remembered which show it was, too, but my memory is not that good). Something apparently insignificant today made me see the potential back then. Fast forward a couple years and there was no more postal service involved. Recordings converted to MP3 format first, FLAC (lossless) later, were now only a click away, shared via mailing lists and fan web pages. I took a few small jobs locally here and there where I could work building websites but also have some time to keep on learning on my own. At a point in time, I started with a university colleague a small e-commerce startup. I failed miserably. I was not an entrepreneur. But it was a great learning experience. I then had the chance to join as an intern a leading group at the University who was building one of the first e-learning platforms, and later move to a private company to build a similar one, this time as project lead. I was leveraging the Web as much as I could from a technical point of view. One of the most known institutions in my hometown is the Princess (formerly Prince) of Asturias Foundation (FPA). Their awards are very prestigious and widely known, and their laureates have been numerous times precursor of those of the Nobel Prizes. 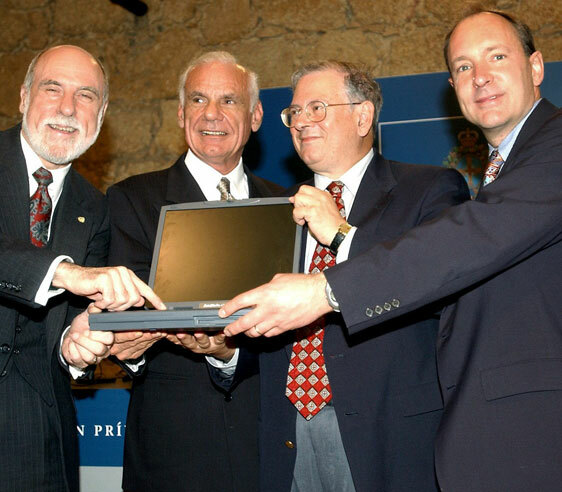 In 2002, a group of four Internet and Web pioneers: Lawrence Roberts (who sadly passed away last December), Robert Kahn, Vinton Cerf and Tim Berners-Lee, where given the Technical & Scientific Research Award. As it usually happens, there were quite a number of side meetings between local, regional and national organizations and the laureates, and there was hope something would emerge from those meetings. One year after, W3C was considering establishing a presence in Spain and, instead of the usual location for these things (Madrid or Barcelona), our region was chosen. I knew nothing about this by the time. A former colleague and a close friend since, called me in September 2003 to tell me rumor had it W3C was coming to Spain, to be established in our region and that they were looking for someone to lead it. He gave me a contact and I sent my CV right away although I was skeptical about the whole thing. Honestly, there were chances given the award the previous year but still. Then it all happened pretty fast: the organization to host W3C in Spain called me, interviewed me, hired me, appointed me and announced the launch with a significant public event later in October. A couple weeks later, I was on my way to my first truly serious W3C international meeting, in Yokohama, Tokyo, and to meet Sir Tim for the first time. I will always be thankful to Pablo Priesca, CEO at CTIC for the opportunity he gave me. It was an amazing ride. We raised awareness, we trained people, we built a community, we significantly increased the number of members of the Consortium in Spain, we gave away prizes… we even toured the country in a bus! One of the things I realized about during my tenure was the gap between technology and public policy. It puzzled me policy makers had to do policy design and development, lawmakers had to draft and pass legislation… without knowing much if anything about the thing at the core, the Web. In 2007 I started to focus much more on this. I became a fellow at W3C working full time on it. 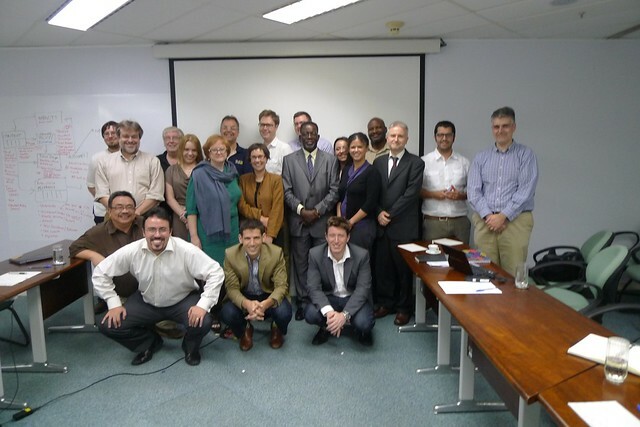 My then manager at W3C, Danny Weitzner, and myself organized a workshop in Washington D.C., USA, including high-level representatives from academia and government, mainly from the UK and USA to discuss cutting edge Web technologies in the context of government. These were very interesting years for government and the Web, governments had started to use and embrace new ways to interact with their constituencies using social media, and we were starting to talk about data (due to mashups and the increasing number of rich applications on the Web) more than ever before. The 8 principles of open government data were coined at the end of that year. 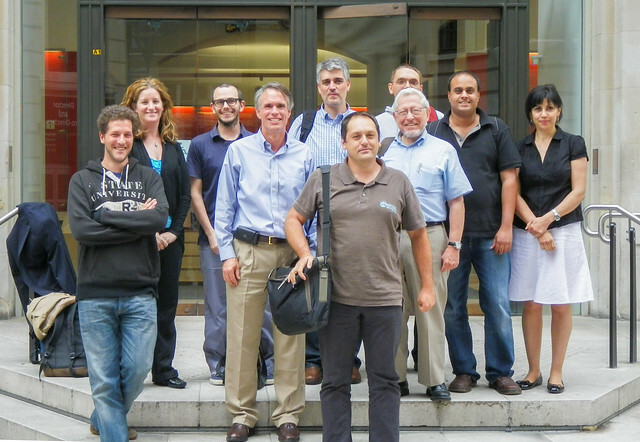 In 2008, the W3C eGov Activity was formally launched. I was appointed to manage it and set up its Interest Group chaired by a representative from the UK government and another from the US Government, whom since also became friends. The Group had quite a lot of work to do, the scope was wide so we had to narrow it down and we did so focusing on one main area, open data, and a secondary one, social media. 2009 was a big year for open data. In February, Tim delivered a TED talk when he led the audience in a chant: “Raw Data Now!”. In May, the US Government launched Data.gov. In September, the UK Government launched Data.gov.uk. Many other open data portals followed the years after. I was a privileged member of the open data community. I participated in and managed projects for several governments in Spain at the local and regional levels, including the national government one and also the beginnings of the one in Ghana. The energy was amazing at the time. The forthcoming State of Open Data will tell the story of the last 10 years of open data much better than I can do here, so keep an eye on its publication later this year. I have always considered myself an unusual software engineer. The great majority of my colleagues have loved to code. I don’t. I could do it in my early career years and do it reasonably well but I was not very good. I’ve been more interested in the technology/policy/society gap, how the Web permeates an increasing number of the most important aspects of our lives, and how the offline and online world frontiers are increasingly blurred. The W3C’s mission was, and still is, “to lead the World Wide Web to its full potential by developing protocols and guidelines that ensure the long-term growth of the Web”. I have reflected on this quite a few times. If we intend to “lead the Web to its full potential” we clearly cannot do so “by developing protocols and guidelines” alone. Alone here is the key. The work W3C and other technically-oriented organizations do is essential for the Web to function and grow, but it’s not enough. I had thought we needed to do more at W3C either on our own or in collaboration with others. As early as 2007, a few W3C staff started to work on a plan to accelerate access to the Web for the 80% (at the time) of the world not using it, and to accelerate the use of the Web for making positive social and economic change. And, yes, positive social and economic change is the key here. 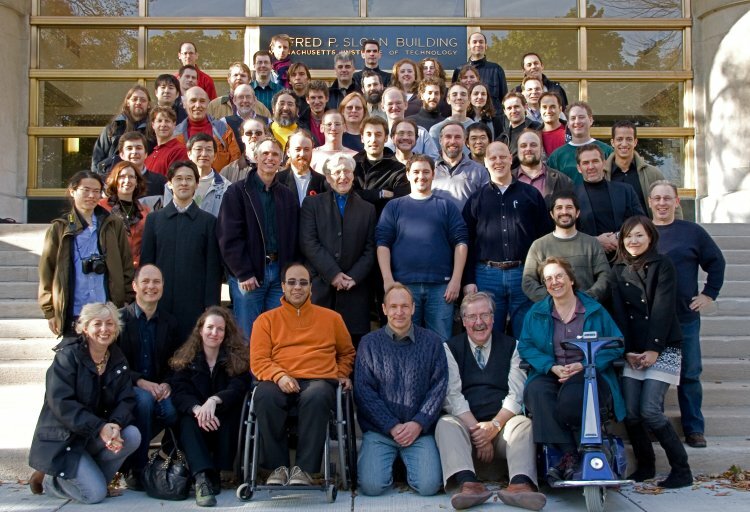 This work led to the establishment of the World Wide Web Foundation in 2009 with former W3C CEO Steve Bratt as its first CEO and my former W3C colleague Stephane Boyera as Lead Program Manager. I had been observing this at a distance, both intrigued and excited. One of the areas the Foundation wanted to embrace from the very beginning was open data. I was given the opportunity by my former colleagues to interview for the position of open data lead. I have great memories of my interview with Tim over video conference. I really pushed him on the social impact front and I remember we had a great conversation and I left saying something like: we’re almost 100% in agreement and I would love to take this position if you guys were to formally propose so. And they did, and I joined part time (50%) as a start, leaving all other jobs and commitments behind. Even when I was still working on open data, I was more focused than ever on the social impact. I got to manage the biggest open data project at the Web Foundation, “Exploring the Emerging Impacts of Open Data in Developing Countries (ODDC)“, along with the Open Data Research Network (something that would have not been possible without the support of Fernando Perini at IDRC and the hiring of my former colleague Tim Davies). We wanted to ensure the benefits open data promised were also reaped by the Global South, something missing in the open data agenda until then. We were able to support 17 partners in 15 countries and produce amazing cutting edge research and initial impact in several places. I learned from one of my professors some projects are like babies: you love them so much, you protect them, you see them grow, you have a hard time letting them go. Yes, this was the case when the project ended. But I was also (I am still) proud of how we laid the groundwork for our partners to become leaders in their respective work and geographic areas. I also held quite a few open data leadership and advisory roles around that time, including the Open Government Partnership, the International Open Data Charter, Open Ownership and Open Contracting. And I could grow the program from half of me to a nearly 16 people team! So, yes, open data as something inextricably linked to the Web. As I heard from an audience member at one of my public talks: open data would have not existed without the Web. But what about the rest of the Web in the meantime and, especially, over the last couple years? Quite a bit of bad stuff, to be frank. Going back to music for a moment, two of my favorite bands have recently reflected on this. Muse‘s “Simulation Theory” talks about Algorithms and Fake News, while A Perfect Circle‘s “Eat The Elephant” touches on how dependence on hyperconnectivity and social media is damaging our societies. These issues have been mainstream for a while now. I have asked several friends and colleagues what I personally, and we at the Web Foundation, should do to reverse this trend. I didn’t get many specific answers but there was a common theme: the Web used to be a good place but it’s not anymore, can you make it good again? And it strongly resonated with me. As we were winding down open data activities, narrowing our focus and starting #ForTheWeb, I was given the opportunity to move to a newly created position, Director of Strategy and Partnerships. One of the responsibilities of the position is to manage strategically key projects and initiatives, and so I was proposed to manage one of the main pieces of #ForTheWeb, the Contract. Tim released, on behalf of the Web Foundation, the Principles for the Contract on Nov 5, 2018. The idea is that those would serve as the basis to collaboratively develop a full Contract, a document/covenant governments, companies and citizens around the world can commit to, to help protect the open web as a public good and a basic right for everyone. We got so far the participation of many of the key players in the private sector, civil society and governments. We have enaged 6,000 people and there are several working groups building the Contract with nearly 100 participants representing more than 40 organizations. And this is only the beginning. I am (we are) fully committed to make this a success, to raise the bar by which we hold the various stakeholders to account and, what is much more important, ensure the web becomes, again, a good place. Now, some may expect me to say: this is a daunting task so wish us luck. But I have (not too long ago) converted to optimism. I believe the trend can be reversed and everyone has a role to play to ensure the web serves humanity, hence here’s my request: if you have not joined us, please do so now and play your part! So here I am, back to the basics, I think. 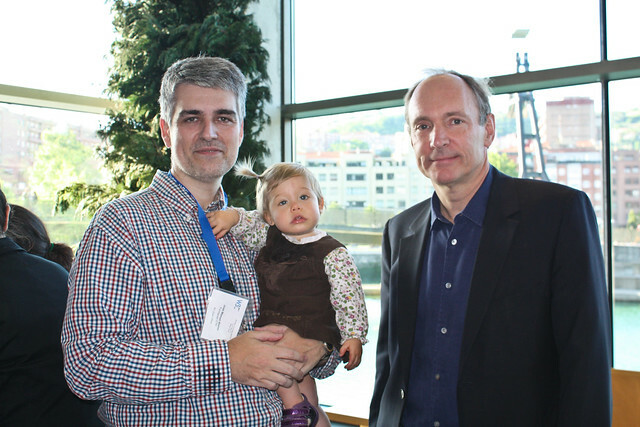 #ForTheWeb, for me, for you, for the future generations. Despite what you may have heard, the Web is not dead and it’s not going to die any time soon. I had been to the area several times before. I had recently made my first attempt at a Milky Way shot at the near Valdevaqueros Dune. After reasonable success with that one, I decided to try another type of night shot and capture some star trails. I arrived before sunset. This is a popular local spot for photography and, upon arrival, I already found a group of four photographers getting ready for some light painting. I set my tripod on top of the foreground rocks and started shooting right before sunset, then waited for the group to end and started to shoot the stars. My plan was similar to last time: to get a tack sharp shot of the bunker in the blue hour and then take at least some 100 shoots of the stars at 20-30 seconds exposure time to then stack them in post to get the star trails. I ended up taking 150 shots. I shot the stars at 20-second exposures using again the Sony PlayMemories timelapse camera app was. Learning from the previous shot, I didn’t touch the camera during the whole sequence and let the app do its thing. I searched for software to stack the star shots and get the trails and decided on the free StarStaX. Pretty easy to use. You only have to load the single images, pick a couple parameters and let it do its thing. The end result shows the star trails. and correcting perspective, white balance, shadows, etc for the blend to be realistic. The light pollution, this time coming from the nearby city of Tarifa, didn’t annoy me, and I even tried to embrace it. Valdevaqueros is a wonderful beach in the South of Spain, pretty well know to kite surfers. It has a quite high dune on the East end of the beach. The dune moves quite frequently and it’s not unusual to find important amounts of sand on the road next to the beach and diggers removing it to allow cars to pass. To prevent the dune from collapsing, fences were put in various places in the middle of it, but the strong winds and the dune moves, make them fall and break very frequently and they are no longer replaced. After a few years spending the summer holidays in the area, I decided I wanted to try something new and attempt my first serious shot of the Milky Way. I had read and watched several tutorials and felt myself prepared. My landscape lens is not that fast (f4) but the Sony A6300 is quite capable in low light so I was determined to try and not to go beyond 3,200 ISO anyway. I arrived well before sunset to scout the area for one last time before the shot and find a spot good enough to keep some of the fences on the foreground and the Milky Way as the background showing above them. I set there with my beach chair, my sandwich and some water expecting to enjoy the landscape in silence and having it for myself. It was less than week before the peak of the perseid meteor shower and I also expected to see some of those, too. And I did. Just a couple but stunning. What I was not expecting, and was an interesting addition, was that a nearby bar had organized a live rock show and I was entertained for free for about two hours in almost total darkness by the distant Spanish rock music. I started to shot before sunset. My plan was to get a tack sharp shot of the fences in the blue hour and then the Milky Way over them a couple hours later to later blend them both with the best of each. I shot some 250 frames at 20-30 seconds every minute over about 5 hours. The Sony PlayMemories timelapse camera app was useful in this regard as it can automate this process as if it was an intervalometer. I was not that lazy so I was occasionally doing some manual adjustments from time to time with care not to move the camera. I’m using Affinity Photo as of late for my most complex photo editing and processing and this was what I used to make the blend. I started with the foreground blue hour shot. I tried to find the one that was sharp enough, and not too warm so it could be then realistically merged with the Milky Way background shot. I then went through all the Milky Way shots until finding one where the Milky Way would be right above the fence and providing a pleasing composition. 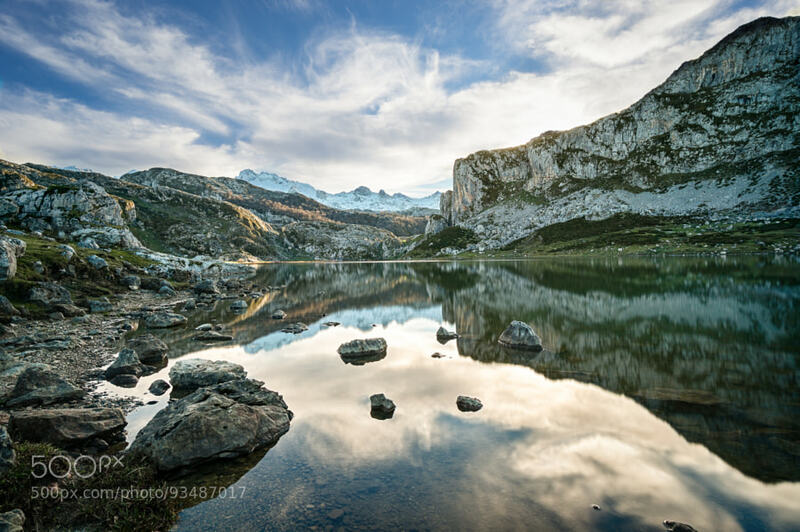 I created separate layers and used luminosity masks to make the blend. All right so far, uh? Nope. Error. My tripod is too light, there was some wind and I was manipulating the camera at times. Result: the tripod moved between shots and the alignment of the fence in both shots was not working. I had to spend a significant amount of time aligning both properly. Several hours. It was boring. Lesson learned. 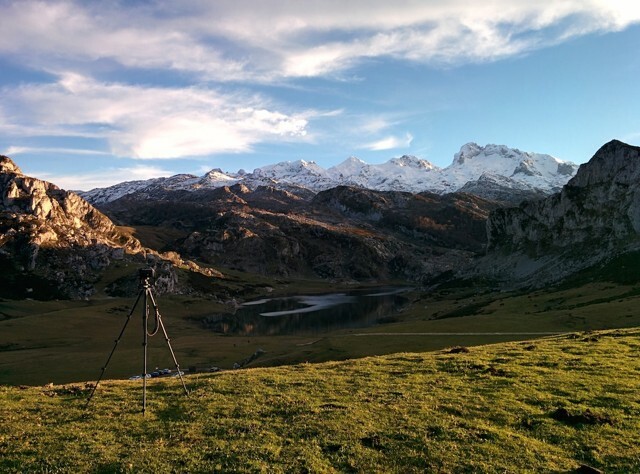 Get a better tripod (I’ve just done it) and don’t mess around when the camera is taking long exposures. Once that done I had to face an expected problem. The blue hour fence at f8 is much sharper than the Milky Way fence at f4, not to mention is much brighter. I created a mask around the fence mostly manually to then use a little bit of warp on the foreground to fill the gaps between the sharp and not so sharp fences. I hope it worked. I was not annoyed by the light pollution. In case you wonder, the camera is facing the sea and beyond it, the African continent. The light comes from the city of Tangier, on the other side of the Strait of Gibraltar. I’m pleased with the end result especially to be my first attempt. Yosemite Falls is the highest waterfall in North America. Located in Yosemite National Park in the Sierra Nevada of California, it is a major attraction in the park, especially in late spring when the water flow is at its peak. The total 2,425 feet (739 m) from the top of the upper fall to the base of the lower fall qualifies Yosemite Falls as the sixth highest waterfall in the world, though with the recent discovery of Gocta Cataracts, it appears on some lists as seventh. Upper Yosemite Fall: The 1,430-foot (440 m) plunge alone is among the twenty highest waterfalls in the world. Trails from the valley floor and down from other park areas outside the valley lead to both the top and base of Upper Yosemite Fall. The upper fall is formed by the swift waters of Yosemite Creek, which, after meandering through Eagle Creek Meadow, hurl themselves over the edge of a hanging valley in a spectacular and deafening show of force. As most of my landscape photo trips, I took advantage of a business trip to extend my stay and get to take some pictures. I traveled to San Jose in California where I rented a car and got to Yosemite National Park after a circa 4-hour drive. I spent only 3 days there, mainly visiting Yosemite Valley, staying at one of the hotels right outside the park’s entrance, only a 30-min drive from the center of the valley itself. I came pretty prepared. Having seen Ansel Adam’s pictures and favorite locations many times, I got ahold of a key resource: Michael Frye’s “The Photographer’s Guide to Yosemite.” If you’re into photography and are going to Yosemite for the first time (or even if you’ve been there already, I’d say) you should get it. Maps, photo locations, tips, all is there, very well organized. Saved me lots of time, allowing me to be very effective and to make the most of my short stay. It was May, so it was packed with tourists and the falls were at their best. In order to extend my days and get advantage of the best light, I decided not to sleep much, getting up at about 4am or earlier. The morning I got the shot I left the hotel at about 4:30am and went straight to Cathedral Beach to get some shots of El Capitan hit by sunlight at its top. I then went to Swinging Bridge, where you can get the beautiful and quiet view of the Yosemite Falls reflected in the Merced river you can see here. It was really calm and the only other person I found at the location at such time (06:58am according to the EXIF data) was another photographer trying to get the shot, too. It was hard to control the flare on the right hand side and I did my best to do so. I’m reasonably happy with how it turned out in this shot. Although I bracketed as usual, no combination of the bracketed shows made me happy, so I only used one exposure on Lightroom. I applied the lens profile, opened up some shadows, decreased the highlights and increased clarity an vibrance. I also removed some spots from the river (leaves) to get a cleaner reflection effect.